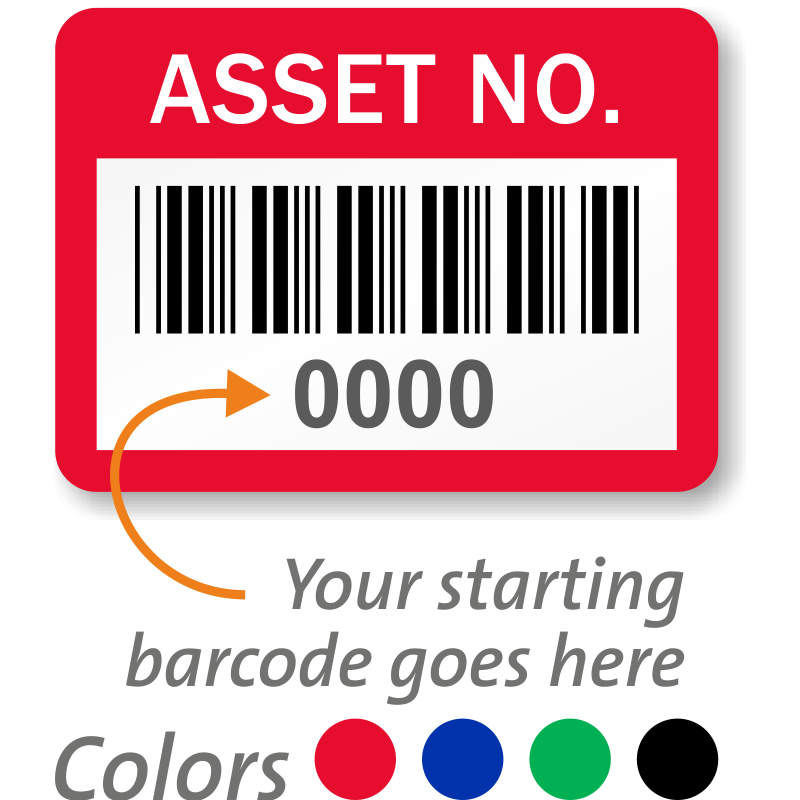 • All labels will be numbered consecutively beginning with your starting number. 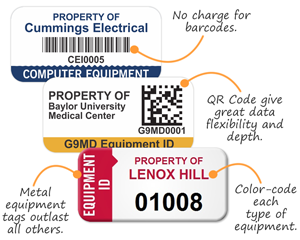 Choose your starting number of upto four digits from the drop-down choices below. 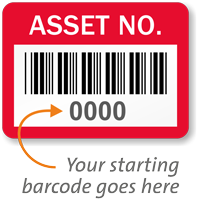 Labels feature a barcode for faster inventory checks.